HBO's Game of Thrones premiered last week. For those of you not familiar with this amazing series, it is set in the fictional Seven Kingdoms of Westeros with multiple storylines involving the kingdom's noble families vying for control of the Iron Throne. At the beginning of each episode, they recap what has happened in the previous episodes—very helpful considering the complex story and cast of characters involved in this show. Then I realized the opening credits were just as important to setting the scene as the recaps. The opening shows a few kingdoms on a map of this fictional land. We see the architectural features that comprise each city and the location (the warm south by the sea versus the cold northern wall). As viewers, we get a sense of where characters are located in relation to each other as the story unfolds. How far are the battlegrounds from these kingdoms? How far are the enemy families from one another? We see the vastness of the land and understand how long it would take to travel between the kingdoms and how far each family's rule reaches. We can compare the different climates and topography that will also influence the characters' skills and political alliances. Overall, it adds to the viewers' understanding of the story. 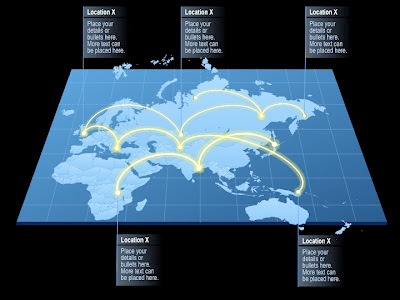 If your company has worldwide headquarters or does a lot of business across the country in various cities, a map graphic is one of the best ways for customers to understand your reach and ability to personally meet their needs in diverse locations. Being nearby is a benefit to clients who want to know your team can give them the service and attention they desire. What kind of image do you get when I say that we have offices across the United States? It's a vague statement, since there are thousands of cities in the United States where we could have offices. Also, how many offices do we have? Are they central to our clients, if they need one-on-one help? What if I simply gave you the image that shows you exactly where our offices are located and a description of the services offered at those locations? You may find our offices are close to you. Doesn't this paint a clearer picture to help you understand the benefits of using our service? What would have more impact: telling a client that you provide telecommunications services throughout the Western Hemisphere or showing it? A map graphic can support your story and demonstrate important details that words alone can't convey. You can find these editable PowerPoint map graphics and many others at BizGraphics On Demand. 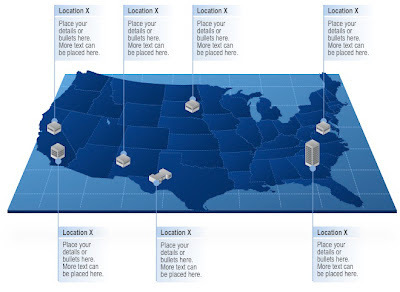 If you generate a lot of map graphics and need specific, detailed area maps, check out GMARK PowerPoint Solutions. I met Jamie Garroch, the man behind GMARK, at the Presentation Summit last year. 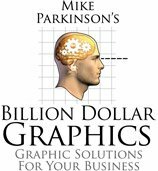 His company created a product called vMaps, which allows you to create in PowerPoint multiple styles of fully editable maps. It's easy to use and at a low price point to fit any budget. For you next project, consider using a map graphic and show your audience how your vast empire can support them.